9 mile maximum range with standard 12AH batteries. Adjustable angle tiller allows the client to position the controller into the most ideal driving position. 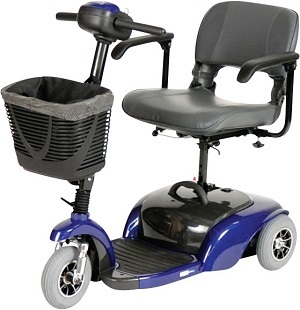 Removable flip-up armrests have adjustable height, width and angle for abroad range of adjustments. These can easily be changed and adjusted to fit the needs of the client. 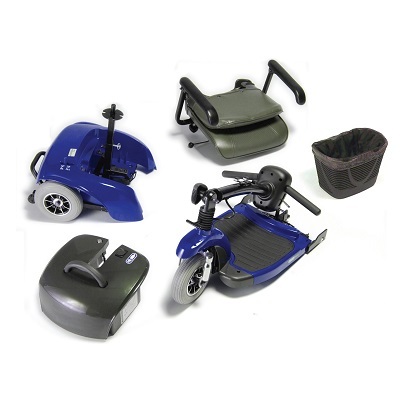 Easy to assemble and disassemble into 5 pieces!